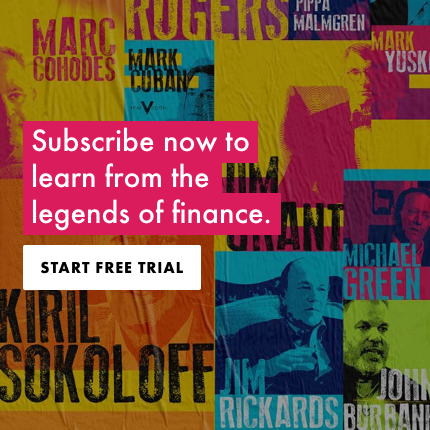 Charting Masterclasses from a Trading Legend continues with Episode 2 as Peter Brandt outlines the backbone of his trading philosophy and what keeps him in the game – Risk Management. In this episode, Peter spells out the ratios and rules he has lived by throughout a 40-plus year career trading commodity futures markets and the principles that guide him as a classical chartist. Longevity is the name of the game. Awesome. Very informative and world class as usual from Peter L Brandt. I'd really like to know how to calculate the underwater table for different asset classes. Very useful thank you Peter! I have a question regarding your running profits guideline. Almost every other guideline is about closing trades. 8.2 Run your profits is surrounded by 8.1 and 8.3 which are about tightening stops. I am wondering how does runnning profits at all fit into your strategy, it seems its serves as a reminder to not be too tight. I am really enjoying this series, thank you very much for taking the time and for being ready to share your insights. Thank you realvision for doing this. Loved the wealth of experience imparted here. FWIW I would love to here more on the statistics as well. James K. Your stops: are they mental stops or do you place them physically in the market for all to see? Great work by the way as I am trying to make a living trading and I am in line with you but not so eloquently or in depth of thought! In extremely liquid markets I will place physical stops -- markets such as Crude Oil or USD/JPY. For other futures and forex and all stocks I use alerts that come to my iphone and ipad. Then I have some time to determine if the stop was run by real market action or more likely by HFTs running stop levels. Fist class guidelines and advice. An absolute privilgege to listen to the great man. Outstanding, both in terms of discipline/process and personality. This video is one of THE highlights of RV so far. Grant and Raoul: Peter has too much wisdom to let him retire. Please bring him on in some regular capacity to share his knowledge and thinking on markets. Great stuff! Wow, those returns and the consistency. Slightly irrelevant to the great video, but RV is making great intro music. Cheers Peter, great to get the wisdom of an old pro. Until discovering you I was very skeptical of TA, and your insight into Risk Management would have saved me a lot of money had I discovered your lessons earlier. Better late than never I guess. Your explanation of the time spent in a negative drawdown situation was enlightening and explains so much. Great work Thank You. I may just hold out in this money game. James -- risk and money management are the real keys to consistent trading success. Brilliant stuff. I was surprised at his excellent record, but it makes sense after seeing these videos and understanding the way he thinks. Will be without question, watching this series annually. Cannot express how much I appreciate Peter's wisdom...thanks RV!!! Thank you Peter and RV for passing on this priceless knowledge and wisdom. Great stuff Peter and RV!! Incredibly interesting. Even if you aren’t going to be an outright speculator, that’s pretty useful on how to think about risk management. I am enjoying the Brandt series immensely! Cutting losses short is so paramount from being eaten alive in the mkts. U could be right in your thinking but price & timing is truth people. Congrats to RealVision and Mr. Brandt. This is game changing content that strengthens the brand. I will be re-viewing this series for years to come. What Peter is doing is a gift to subscribers. Many Thanks. WOW! I would love to just sit at this masters feet. Since that will probably never happen, this is the next best thing. Thank you for these interviews. Worth every penny of my subscription! It appears to be anything but "hotly debated" that Peter's video was outstanding. We have 100% agreement!